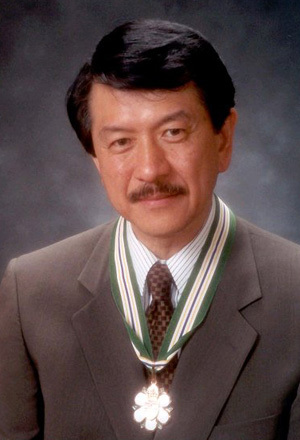 World renowned for his discovery of the existence and mechanisms of drug-resistant chemotherapy, Dr. Victor Ling has given hope to patients suffering from leukemia, breast and ovarian cancers and cystic fibrosis. His research has led to the discoveries of why many patients do not respond to traditional chemotherapy treatment. He has worked relentlessly in deciphering the language of cells. One in three Canadians are affected by cancer and Dr. Ling’s work gives hope that this disease will be beaten in the coming decades. He has co-ordinated cancer research for British Columbia for the past four years, and has attracted and inspired scientists and clinicians with his relentless pursuit of new discoveries and better treatments and cures for cancer. His inspiration is a catalyst for more than 250 research scientists and their staff. His leadership is part of the reason why the B.C. Cancer Agency boasts the best cancer treatments and research for British Columbians. As a leader in scientific research, Victor Ling has won every major cancer research prize in the world. As a tireless campaigner for improved cancer treatment and research, he has given society a new insight and vision for confronting the treatment of cancer.